Former England skipper Michael Vaughan is concerned about left-handed batsman Gary Ballance's selection for the first Test of the four-match series starting at Lord's on Thursday. Balance, who has enjoyed a stunning start to the season, is expected to bat at number three in the first Test. The 27-year-old, who has been recalled to the England Test team for the third time in his career, has so far struck 815 runs at the remarkable average of 101.87 in eight matches in the four-day competition this year. However, Vaughan feels the Proteas bowling attack are altogether different than that of county sides and it would be a tough task for the Zimbabwe-born Balance who has had his technical issues in international cricket before. 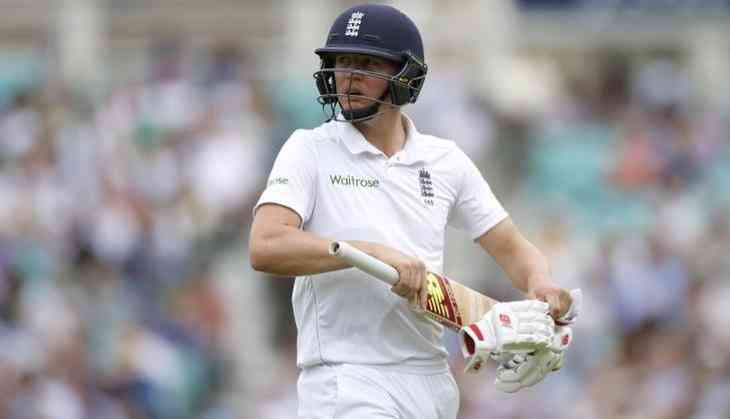 In his column for the Telegraph, the former England skipper said: "Ballance batting at three worries me." "He is in fine confident form with a volume of runs for Yorkshire behind him but (Morne) Morkel, (Kagiso) Rabada and Vernon Philander are a different proposition." "The last time he played for England and batted at three he had success against slower attacks. When he had to face three bowlers consistently bowling at more than 137 kph he was found out," he added. The 42-year-old believes Morkel, who has a good record against left-handers in the longest format of the game, will be the biggest threat for Balance during the Lord's Test. "Morkel will be the challenge. He bowls brilliantly at left-handers and England will have three in the top four. Has Ballance improved his method of transferring his weight forward when the ball is full?" he said.
" South Africa will push him back with the short ball, can he then get weight transferred back into the ball when they go full," he added. The Lord's Tests will be followed by games at Trent Bridge (July 14-18), Kennington Oval (July 27-31) and Old Trafford (August 4-8).